The National Park Service has launched cleanup efforts aimed at taking care of the trees along the Tidal Basin that were uprooted during Thursday's wild storms. WASHINGTON — The National Park Service is cleaning up after Thursday’s stormy weather. 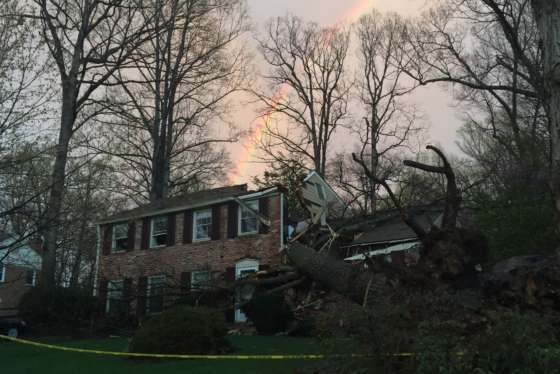 See the aftermath of Thursday's fierce storms. 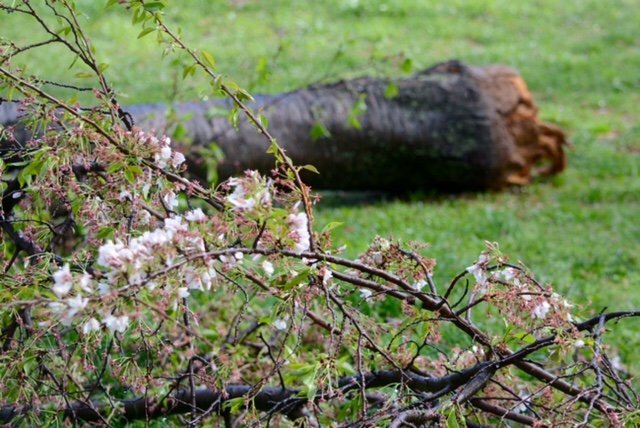 A dozen or so trees were uprooted along the Tidal Basin, including some cherry trees near the Jefferson Memorial. “The paddle boat parking area will remain closed today so crews can get in and clean up the downed trees, make sure there aren’t any broken off branches or widowmakers hanging from up above,” National Park Service spokesman Mike Litterst told WTOP Friday morning. The cleanup should be wrapped up by the end of the day Friday.